The consultation on the new Member Group policy as set out by a group of volunteers from member groups (and mentioned in my last Viewpoint) has been completed. The response was overwhelmingly in favour of the proposals relating to the areas covered by groups and Council has endorsed them. Groups can select a new membership area at their AGM and apply for the new list to be set up. National Office will need to be able to implement the new structure from early 2012. The Touring Trophy will need a new set of rules for 2012 to deal with which Member Group gets Tourist Trophy points. The proposals to make the definition of Member Groups and relationships between Member Groups more flexible were also endorsed. This means that the two types of Member Group are retained, i.e. Member Group or Informal Group. However, there will be no rules to defining the relationship between Member Groups and local members. It is considered that this is best determined at a local level. If current relationships between groups are working effectively and meet CTC policy requirements, they can be retained. Because the relationships are so diverse it is not practical or necessary for the structures to be the same for every situation. Member Groups can choose if they want to be part of a collaborative structure, whether that is with a larger Member Group or whether they will work with other Member Groups in a different way. A decision to maintain existing structures is perfectly acceptable as long as it is mutually agreed by all participating Member Groups. The good news is that the Club’s application for charitable status has been approved by the Scottish regulators and the CTC is now registered as a charity in Scotland. In England and Wales registration is undertaken by the Charity Commission. We had pressed for an early decision on our application so we could start our new financial year on October 1st 2011 as a registered charity. The Commission's officers have told us that at present they cannot approve the application. It would seem that the decision to make minimum changes needed for charitable status in our Memorandum and Articles of Association (our constitution) which contains much wording from the founding document, has complicated the issue. Also our website, which has not been fully updated as a new site is being built, did not properly present the charitable nature of our work. This will be reflected in the new site. However the Charity Commission make their judgement based on what they find when they look. We are going to take some additional advice about the best way forward from here, including how we handle the different approaches taken by the Scottish and English regulators. Council is continuing with the policy that Member Groups will remain outside the charity for the immediate future as subsidiaries. Once the new structure has bedded in the issue of where MGs should sit within the structure will be revisited. The only change for the moment is that Member Groups will have to report back each year on how they spend the money allocated to them by the Council, confirming that it was spent on CTC’s Charitable Purposes. As this includes promoting cycle touring there should not be a problem. As I have previous indicated this complex project (tying together all our membership activity and databases, handling memberships and renewals) has not proceeded to plan. The project keeps stalling because the contractors are putting new business before our completion and we have had a number of disputes about progress. CTC has brought some work in house as well to leave the supplier with the technical integration project as their major activity. We are in the testing and handover stage at the moment, something that would normally take a couple of months to ensure that all the integration works. This means we should have some elements of the site ready this year and it is hoped that it will be in full operation early in the new year. Council and staff has felt frustrated, disappointed and quite angry about where we are. Unfortunately once embarked on such a project there are few options available. Walking away, to start again, while suing to get our money back, might have been one, but in itself that would have been a major drain on resources and there could be no guarantee that we would obtain full damages. It is still the plan to offer each group a page they can tailor or link to their own home page. My suggestion for a change in the way we hold National AGMs (see July Viewpoint) was put to Wayforward Committe who have decided to defer the issue for a few years. The view being that this would be one change too many on top of those relating to the change to charitable status. In September the CTC started a consultation with its employees about restructuring and staff reductions to reflect the reducing project income and increased costs in the coming year. CTC Income has been reduced by reductions in central government funding for cycle projects. This is very unfortunate for those concerned but it must be borne in mind that CTC is twice the size it was ten years ago. Staff levels peaked at 80 and even after restructure, when the largest funding programmes end, there will be around 50 staff. Membership continues to rise and direct member services have improved steadily. Overall we have had a relatively successful year, finances are on target and we are managing the transition out of high levels of government funding. The decision to become a charity was made very conclusively at the AGM in Weymouth with more than 88% of the 11,000 votes being in favour. The changes approved to the Memorandum and Articles of Association means that the CTC is now a charity although still awaiting formal registration by the Charity Commission. After all the controversy surrounding this issue, I hope that we can all unite in supporting the CTC as the leading cycling organisation in the UK promoting non-competitive cycling. The recent AGM in Weymouth highlighted the changes resulting from the decision to allow proxy votes, with less than 100 members present and 11,000 voting by proxy. This meant that to all intents and purposes the presence of members and the arguments they put relating to motions were irrelevant. While this is a much more democratic process than the previous system, it does mean that members voting by proxy are not aware of the arguments put at the meeting. The AGM format involves motions being put to which substantive changes cannot be made. Members debate the issues on a confrontational, rather than collegiate, basis, taking one or other side of the argument, when the issues may well be nuanced. They also have to sit through debates on issues in which they have no interest. My thinking is that while we must hold an AGM we should hold it at minimum cost at our offices in Guildford, accepting that all the motions will be decided by the proxy votes. We should then use the resources currently set aside for the AGM to promote a Members' Conference and Annual Dinner which would move around the country. This could be held in January or February each year (when many members are happier to be off their bicycles and accommodation is often cheaper). Suggestions for AGM resolutions could also be discussed in a relaxed atmosphere at such a gathering. I'd welcome members' comments on this suggestion. A CTC Member Group Task Group has been set up to review the way in which CTC groups operate. It has come up with some suggestions which have been put out to group officers, organisers and ride leaders. That any Member Group can choose to communicate with any members by receiving a regular list of members that suits the needs of the Member Group, its volunteers and the local committees. These lists will initially be set up by geographical area but over time we can build up lists of members interested in specific activities such as short rides, MTB, women’s rides, evening rides or a particular campaign. Member Groups can overlap with more than one group serving the interest of an “area”. For example it would be OK to have a ladies easy ride group, a mountain biking group and a touring group within the area defined for a Bristol group. But it will also be possible for Bristol and Bath touring Member Groups to both have an overlapping interest in the area which lies between Bristol and Bath and for both to offer activities to members in the area. Member Groups can also have access to wider member lists on an occasional basis to advertise nationally or regionally special activities e.q. Audax rides or local campaigns. Any member can attend and vote at any AGM and be elected to any committee. They can also be registered as ride leaders or volunteers for more than one group and can enter all events and competitions organised by Member Groups. Again I'd welcome members' comments on these suggestions. The current policy is that CTC Member Groups may organise rides primarily for CTC members. They may also organise “events” which are rides for both CTC members and the public. CTC guidelines suggest that not more than 5 non-members take part in any one ride and that a non-member should not participate in more than 5 rides. There are two opposing schools of thought about who should be welcomed on regular CTC led rides. Some believe that the current guidance is unwelcoming to new members and new cyclists and would like rides to be completely open to all, particularly as a way of introducing people to CTC rides who may in due course become members. Others believe that rides should mainly be restricted to people who have also paid a fee to join CTC and that, as non members cannot lead rides, they should not be able to take part in them. Similarly there are divergences of opinion on whether members of groups affiliated to CTC should have unrestricted access to CTC Group Rides. A motion to the 2011 CTC AGM asked CTC Council to review this situation. Currently Affiliated Group members can pay an additional fee to become Affiliated Members of CTC and get some restricted membership benefits. One of these benefits is that they have the same rights as CTC members when it comes to CTC Group Rides. Again I'd welcome members' comments on these issues. Unfortunately we are still having problems with the contractors who are building the new website. Testing has proved problematic and the overruns mean that we are now in the holiday period which makes staff training difficult. Bearing in mind the problems to date and the work in loading information to the site still to be undertaken, it is not expected that the site will "go live" until the turn of the year. I was asked by Dave Griffiths of Notts.CTC to contribute to the "Spotlight" feature in Cyclonda. My response appears below as I thought it might be of interest to others. If editors of other mags. are desparate for copy they are welcome to use it. 1. What type of cycling gives you the greatest buzz? I just enjoy being on bicycle, particularly on a lovely spring morning, and that can be on a trip to the shops or a long ride in the countryside. I'm of the view that you can usually find something to enjoy if you look for it - or in the words on the Monty Python song from "the Life of Brian" - always look on the bright side of life. 2. When and how did you get serious about cycling, and when did you join the CTC? The use of the word "serious" raises some interesting philosophical questions. Is it someone who races regularly? Is it someone who cycles more than say 5,000 miles a year? is it someone who cycles to school or work? Is it someone who uses their bicycle to go shopping? I could go on. To my mind anyone who pushes pedals is a serious cyclist who I want to encourage. I've cycled since the age of 6 and whilst mileage have no doubt varied considerable, I don't think there has ever been a year when I haven't ridden a bicycle. I joined the CTC in 1988. 3. How many bikes do you own, and do you have a favourite? I have 4 bikes of my own. A 1994 King of Mercia (confiscated by my oldest daughter as it now fits her), a 1987 Raleigh Randonneur, an old Clement 531 frame (c.1970) painted up with Hammerite and fitted with a SA 3 speed and and old Puch 3 speed (c.1964). I suppose the Randonneur would be my favourite, it was my first "proper" touring bike and I've probably done more miles on it than any other. 4. What can you tell us about your first bike? Pre-war, make indeterminable, with rod brakes and repainted red. Here I am, age 6, on it on 25th March 1957 on the promenade at Walmer, Deal having just achieved the ability to balance. 5. Do you undertake all of your own bike maintenance? No, but I do quite a lot of it. All depends on time and how difficult the job is. I bought the Clements for £35 on ebay, stripped it down, put new ball bearings in the head-set and re-assembled as a 3 speed so I can do quite a few of the jobs, although I wouldn't attempt to disassemble and re-assemble a hub gear (the real test of a bicycle mechanic :-) ). 6. What gadget would you most hate to lose? My carrier. Without the ability to carry things, a bicycle is not particularly useful. As we are car free the ability to carry things is essential. 7. Which is the best place that you’ve visited with a bike? If the question refers to an area then I would nominate the Welsh Marches but for a particular place I would say the Military Road on the Isle of Wight. 8. And the most disappointing, with or without a bike? Gosport Marina. Back in 1972 I was a member of NatWest Sailing Club. I was invited down to Gosport to sail on the Bank's 38 foot yacht for a weekend and warned them that I would be arriving around 10pm as I had to travel from East Kent. I arrived only to find (after much fruitless searching) that the berth where I had been told the yacht would be moored was vacant. They had sailed and I had to find my way back home to Deal in the small hours. 9. What was the most memorable cycle ride that you have made, and why? Probably my first real tour when I took the train to Crewe and cycled back to Southampton through the Welsh Marches. 10. Do you have a favourite local ride? I suppose one that I often make when I just want to get out for some exercise for a couple of hours is to take the track south from Loughborough to Woodhouse (at Beaumanor Hall) and then head up to Beacon Hill, then towards Copt Oak taking the left turn into Whitcrofts Lane and then on to Newton Linford and home through Bradgate Park (not to be attempted on a busy weekend). 11. What about a favourite café? Difficult to choose. Probably the Jade Tea Rooms at Newton Linford. I help maintain this map of tea rooms for Leicestershire and Rutland CTC which shows some others. 12. If you’re touring, what’s your preferred accommodation? Are you a camper, a hosteller or do you prefer a hotel / guesthouse? I'm not a camper unless there is no alternative, but am quite happy to use youth hostels (I'm a life member of the YHA). With the family we have found Travelodge family rooms (particularly the £9 offers) to be very attractive. 13. Do you have a favourite Youth Hostel? Ilam Hall - I like to take a wander around the grounds. 14a. What, if anything, would you most like to see changed within CTC? There are many areas where I think we can improve the organisation but I believe it is essentially sound as evidenced by the increasing membership. We are a very "broad church" and attempting to keep all the various types of member content is quite difficult. By way of example many of our older members want to retain paper based systems and some would even like to see runs lists and free adverts in Cycle. Several have told me they have no intention of ever using the internet. Others are completely up with the technology and expect the CTC to be prominent on social networks. Servicing all these means of communicating with members has made many things more complex. However, I confident that over time we will continue to evolve and improve the organisation. Areas where I think we particularly need to improve are the National AGM, which with proxy votes is no longer an appropriate means (if it ever was) of obtaining member feedback. I tend to the view that we should have an annual conference and dinner at which the future of the CTC can be discussed. Another area of concern is the groups. The present arrangements are based on a compromise that attempted to reconcile several different conflicting aims. This is now being reviewed. But however we look at it many groups have ageing memberships and are failing to attract new members. I went down to Hampshire last year with my daughter and we went out with the Southampton group which I had ridden with 20 years ago. Apart from my daughter, every single rider was somebody who I had ridden with 20 years before. It certainly made socialising much easier, but I fear that this situation could apply in quite a number of groups. We need to find ways of assisting groups to attract new riders. 14b. What made you decide to become a CTC Councillor? I was persuaded by committee members of CTC East Midlands . I'm already involved with several other organisations, so I was reluctant to commit to the time required, and only agreed on the basis that I would give priority to previous commitments. I'm hoping somebody else will be prepared to stand at the end of my term (election next year). 15. Do you have any notable cycling achievements? Don't think it counts as a "notable achievement" to anyone else, but a 300k audax run by the Southampton DA back in 1989 across Wiltshire. As I cycled to the start and home again I did 200 miles in the 24 hours. It was a great ride across some lovely countryside along with good companions. 16. Have you any other interests apart from cycling? Quite a few, including my wife and two daughters of whom I'm immensely proud. School governor of Woodbrook Vale High School, chair the Curriculum and Pupils Committee and link governor. I also enjoy reading and, when I can, to get a sail in at my old club, Down Sailing Club. 17. Do you have a favourite film or TV show, or maybe a favourite musician? Difficult. "The Life of Brian" is a film that I usually spot something new in on each viewing. I've also been digging our some old black and white classics (very cheap on DVD) - in particular its been good to take another look at "Inherit the Wind" and "To Kill a Mockingbird". As to musicians, I tend towards classical music, but as an individual musician I think I would nominate Humphrey Littleton, an admirable musician and human being. 18. Do you have a pet hate or something that really annoys you? Yes, people who expect me to do things for nothing so as to save them some money. 19. Who, if anyone, has had the biggest influence on your life? Mainly my parents and family. I've met, worked and played with many people who I have admired and to some degree emulated, but I couldn't pick any one person out in particular. 20. What else can you tell us about yourself that members of Notts CTC might not know? My main sport for 25 years was dinghy sailing. Now that we are a charity do we individual members have any say in running the Club? Do we not lose control of our funds to the Charity Commissioners? Should the Club Fold what happens to the wealth of the Club? Will the Members get a share? If there is an overspend and a need for 'cuts' where has the money gone and who or what is to be cut? The Club should get back to basics. 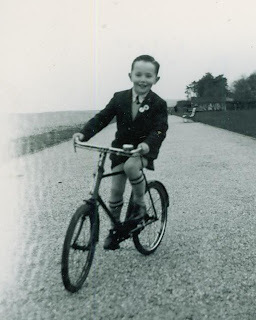 Do not set up in competition with Sustrans. Like many members I have Insurance in my Householders Policy plus Legal Advice and ready access to good local solicitors. Apart from contact with local group, what value is there in Membership? I am one of the 25% who voted to stay as we were. The sad low level of interest in the vote does not (IMO) indicate contentment, rather apathy. Everywhere I see the 'Crap Cyclepaths' and wonder why no major effort has been made by the CTC to force some proper standard of construction on Highways Authorities. Put existing members Interests first, if the Membership is happy others will be attracted. First point - the poll didn't change anything. It simply confirmed that a majority of the membership (or at least that part that participated) agreed with the motion passed at the last AGM. To reunify the Club and the Trust as a single charitable organisation will require amendments to the M&AA and this will require a 75% majority of those voting. The poll only just achieved 75% in favour, so nothing can be taken for granted. Secondly under the AGM proposals for amendments to the M&AA governance was to return to the original model that was in place before the formation of the Trust, with Council (who would also be trustees) running the reunited organisation and being elected by members as at present. So members would still be voting for councillors and able to put motions to the AGM. The only real change is that future changes to the objectives clauses of the Club would need a 75% majority of the membership plus permission from the Charity Commission. We certainly do not. The Charity Commission never takes funds from charities (apart possibly for fees relating to services). If a charity gets into trouble it will get involved in order to ensure that the assets are used (as far as possible) in accordance with its charity's objectives. Normally it does this by arranging a merger with a similar charity that that is being well managed. It will ensure (if it receives complaints) that the charity uses its assets for purposes within its objectives. If upon the winding up or dissolution of the Club there remains after the satisfaction of all its debts and liabilities any property whatsoever the same shall not be paid to or distributed among the members of the Club, but shall be given or transferred to some other institution or institutions having objects similar to the objects of the Club to be determined by the members of the Club at or before the time of dissolution, or in default thereof by such judge of the High Court of Justice as may have or acquire jurisdiction in the matter. This is the existing rule. As with any business the Council has to look at costs, rank priorities and decide what to cut. As most of our costs are personnel it will usually be a reduction in headcount. This means that as an organisation we can do less of what we want to do. With regard to where has the money gone, audited accounts are produced annually. You can find the last sets of accounts at http://www.ctc.org.uk/resources/About_Us/2009_Annual_Report.pdf and the consolidated income and expenditure accounts can be found on page 9. As a Councillor I have a problem in that different members have different ideas as to what are "basics". From membership surveys (and just looking through my DA's [OK Group's] membership list) it is apparent that only about 15% of the membership have any contact with their local group. I know of many long-standing members who have never attended a CTC meeting or taken part in group rides. They are members who want to support the Club in its efforts to promote cycling at the national level. So to them promoting cycling in the wider community, campaigning and lobbying would be getting "back to basics". To cater for the needs of cyclists by collecting and furnishing information for the planning and conduct of cycling tours, publishing and supplying books, routes, guides, brochures, accommodation lists, maps, periodicals and newspapers, badges and emblems, by arranging for insurance and any necessary documentation, and to organise and conduct cycle tours both at home and overseas and make all appropriate arrangements for participants therein, and to promote and safeguard the interests of cyclists in all such ways as the conditions of the times may render desirable. I would point out that there is nothing in our objects that specifically empowers us to promote groups. This is something that Council has identified and we are hoping to address when the M&AA are revised at the time the changes required for the re-unification of the CTC are eventually introduced. We're a leading UK charity enabling people to travel by foot, bike or public transport for more of the journeys we make every day. Their remit it the promotion of sustainable transport and the associated infrastructure. This can sometime be complementary to the CTC but they are not, I think, in competition. I would suggest that we can summarise the aims of the CTC as being the promotion of non-competitive cycling in all its forms. A very different focus and one that also qualifies for charitable status under the promotion of amateur sports as well as some other headings. Like many members I have Insurance in my Householders Policy plus Legal Advice and ready access to good local solicitors.Apart from contact with local group, what value is there in Membership? You are quite right that you can purchase all the membership benefits of the Club elsewhere and possibly at lower cost, although you would have to do the work involved in obtaining them separately. The CTC offers a package of benefits to its members. The value each member puts on each aspect, whether it be supporting Bike Clubs, 3rd party insurance, Cycleclips, Keep Posties Cycling, the magazine, the companionship of the local group, Chris Juden, the excellent rides organised by groups etc. etc. varies from member to member, but overall each member must see the package of value or they would have left. Since our membership is at record levels I suggest that we must have been doing something right and the current package is reasonably attractive. That said I believe there is room for improvement and we will need to continue to change and evolve in the future. You are certainly free to oppose charitable status but I'd be interested to know why? Re-unification would return all of the CTC to the control of the membership through its elected Council, simplify administration and provide some financial and reputational benefits. To date the only arguments I have seen against relate to various changes people would like to see in the way the CTC is managed that have nothing to do with the issue. In particular they seem to confuse the various contracts we have taken with the government with the charity issue. There would be nothing to stop us ceasing all such work and still remain a charity. Some have said that charities have to be for public benefit. True. But then our members are part of the public and the charity law recognises that what we do constitutes a public benefit. I have to agree that the level of participation in both the AGM votes by the use of proxies and the poll was disappointing and you may well be correct in attributing this to apathy. Many members just want us "to get on with things" and whilst supporting the CTC through their membership, want minimal involvement. In terms of votes in the voluntary sector it was quite a good level of participation. In local elections a turnout of 30% is considered good and in the recent election for the General Secretary of the Unite Union (membership 1.6 million) the participation rate was 16% and the winner was elected on 100K votes. Council will no doubt be looking at ways of encouraging higher levels of participation. Unfortunately, whilst there are quite good policies and recommended standards in place, they are often not followed. The problem is how can these be enforced, particularly when just about all of them have "escape clauses"? The latter mean that legal action will probably be futile and then we are left with "moral suasion". Speaking as someone who has been involved in cycle campaigning and talking to my local politicians for many years, the problem is that cyclists are not seen as an important constituency. Only c.2% of trips are made by cycle and our membership at c.70K may be at record levels, but in political terms is minute. I think that we "punch well above our weight" but if we are to bring about real change we need more people cycling and more members. A bit of a "chicken and egg" situation I'm afraid. We certainly need to do this, even if it is only to ensure that we retain them. However I think that we must look to attract as broad a range of the cycling population as we can. If we are to improve the cycling environment we need both more cyclists and more members. We know that more cycling means safer cycling and this would also ensure that politicians and the authorities would take the needs of cyclists into account. It is this virtuous spiral that I believe we must aim for.